It may be hard for you to feel optimistic about the future right now. If you’ve lost a spouse, child, family member, or friend, you’ve probably found there are not many people who understand the deep hurt you feel. This can be a confusing time when you feel isolated and have many questions about things you’ve never faced before. “Going to GriefShare feels like having warm arms wrapped around you when you’re shivering.”GriefShare is for people grieving the death of a family member or friend. We understand that there are other losses in life that create feelings of grief. You might be experiencing a job loss, a divorce, estrangement from a child, or the loss of friends because of a move. This grief is real, but it is not the kind of grief discussed in GriefShare sessions. We encourage you to ask a pastor for help in finding resources that will be of specific help in your situation. GriefShare groups meet the first, third and fifth Tuesdays of the month through June 18, 2019, to help you face these challenges and move toward rebuilding your life. Each GriefShare session has three distinct elements: Video seminar with experts, Support group discussion with focus, and Personal study and reflection. 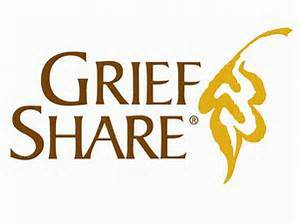 GriefShare is a 13-week video series with a discussion where those who are grieving find hope and fellowship in a Christian atmosphere. One member described the class as “a turning point in my life.” You are welcome to begin the session at any point as each session is self-contained. We look forward to being your support during this difficult time in your life. There is no registration fee and a book is included. This class is led by the Rev. Sharon O’Connor and Jarren Mohanna.